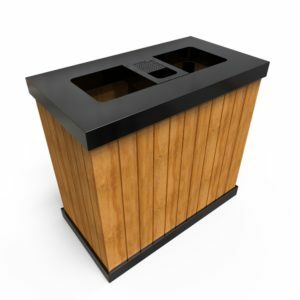 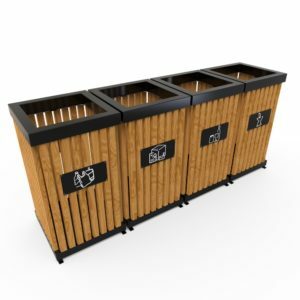 The perfect balance between functionality, durability, and style, our high performance outdoor recycling bins have been crafted to withstand the whims of nature and heavy use. 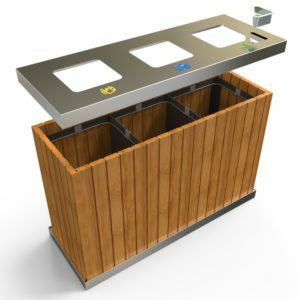 Opt for a seamless recycling strategy with our range of outdoor recycling bins that can be tailored to meet all your recycling needs! 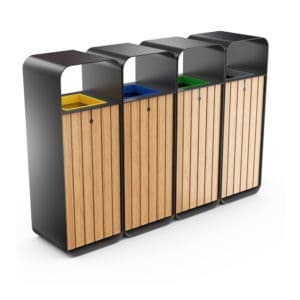 As the leading manufacturer of recycling bins, Urbaniere offers a wide range of multi-bin recycling containers for outdoor use. 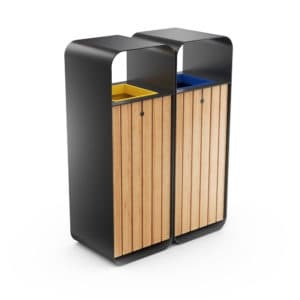 Very involved in sustainable development and waste management, Urbaniere designs and manufactures stylish and inexpensive waste bins dedicated to the various areas of businesses and local authorities. 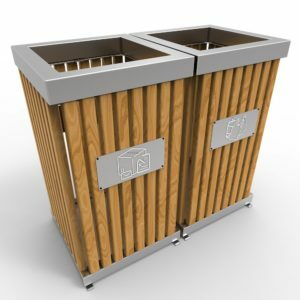 Robust and resistant, discover here our unique choice of customizable outdoor bins and buy an “outdoor” container that is the right one for YOU. 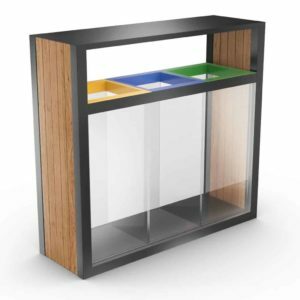 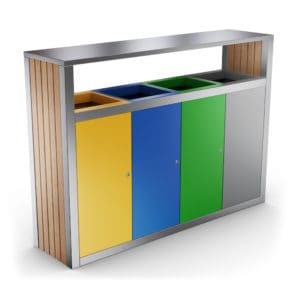 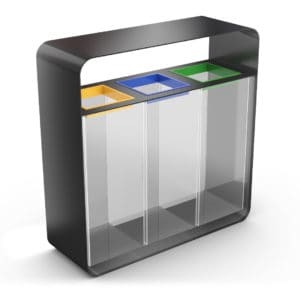 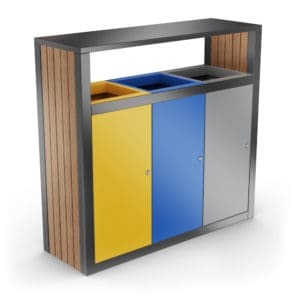 Our Malmo 3-compartment recycling bin is an excellent example of what we offer concerning colored recycling containers for outdoor use. 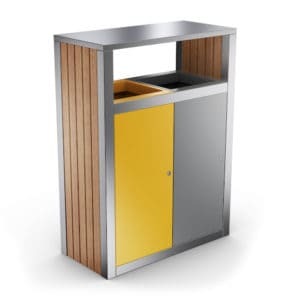 From 30L, 50L, 90L or 200L, with yellow, blue and green or anthracite bins, they are ideal for collecting and recycling waste and are ideally suited for use within your company, on the streets of your town, or in stations or airports. 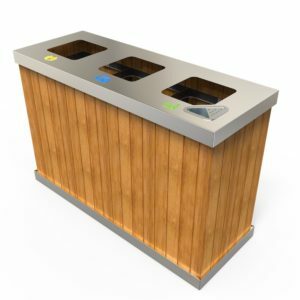 To further simplify the process of recycling, recycling multi-bins with symbols for outside use are another simple and effective option. 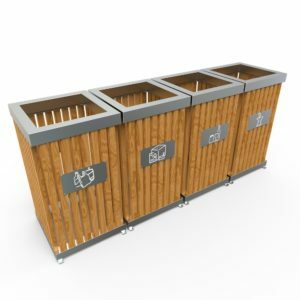 Combining images and color, they will guide you in your eco-responsible and environmentally friendly approach thanks to these visual reproductions: plastic bags, glass bottles, apples, and so on. 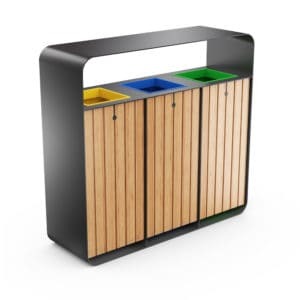 Discover for example our Kuokio model, an outdoor recycling bin with 3 compartments with logos. 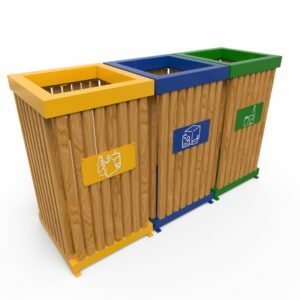 Its design and XXL format symbols will no longer leave any doubt as to which bin to choose when disposing of your waste. 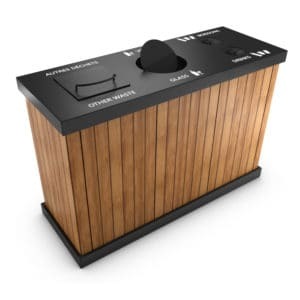 At the entrance to a company, in a courtyard, at the exit of a station or airport, there are many reasons to opt for the outside recycling bin with an ashtray. Thanks to our wide choice of products dedicated to this purpose, you will be able to create a smoking area while at the same time keeping an ecological approach. 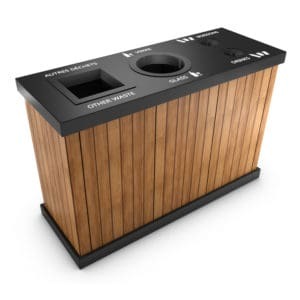 Our recycling bins with cigarette end receptacles combine spaces for paper and plastic or organic waste. 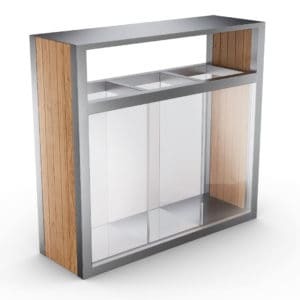 Our Geneve model with 4 fireproof bins is an example. 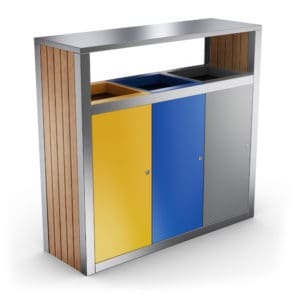 Here you can throw away your food leftovers, cans or papers while enjoying your cigarette break. 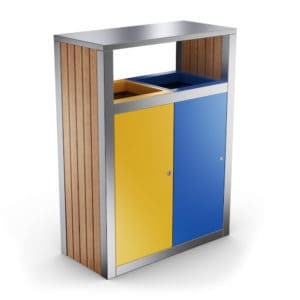 To ensure the safety of pedestrians and your employees, discover our safe outdoor recycling bins. 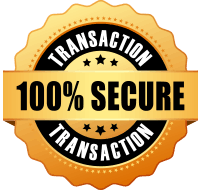 Visibility and easy control are the two critical elements of these smart and practical measures, aimed at offering maximum security to all citizens. 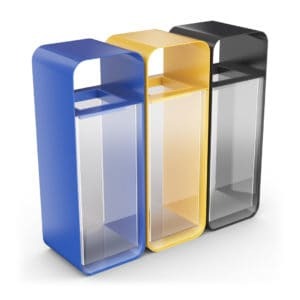 The use of translucent Plexiglas on all these containers provides increased visibility and remote control of waste. 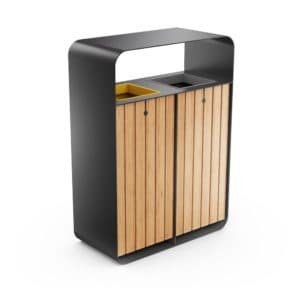 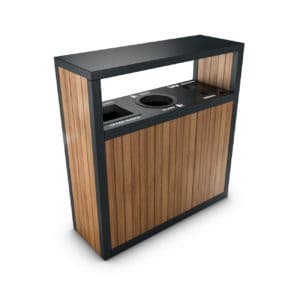 Our Pori model is an example of what we offer regarding safe outdoor recycling bins. 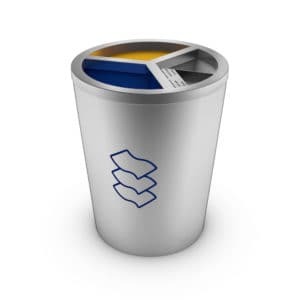 Thanks to it, maintenance and garbage collection teams can safely change garbage bags. 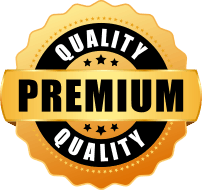 Law enforcement, on the other hand, can continue to provide better and more accurate remote monitoring with a reduced risk. 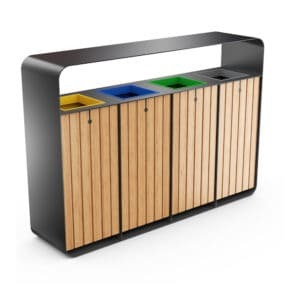 To offer their customers state-of-the-art waste management solutions, Urbaniere provides a wide choice of smart and connected waste bins. 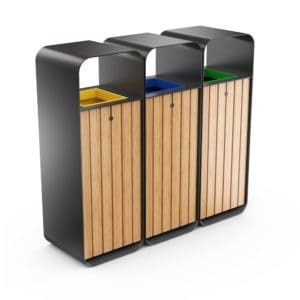 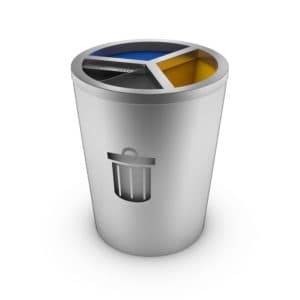 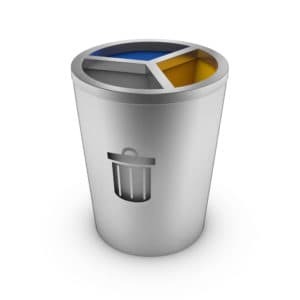 Why optimize your waste collection with smart recycling bins? 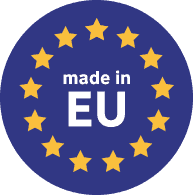 To enable businesses and local authorities to reduce costs! 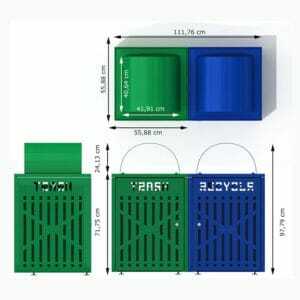 Discover here our containers equipped with sensors. Their objective? 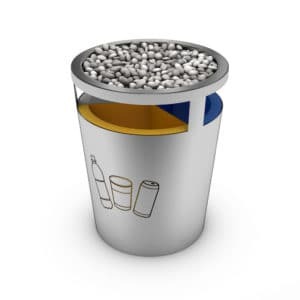 Report the filling rate and geo-locate the various containers. 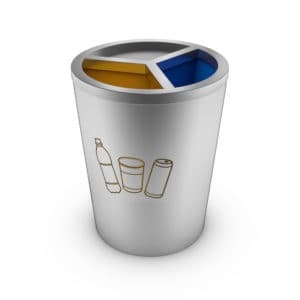 Your cleaning teams will be able to review their itinerary, their work methodology and travel only when necessary. 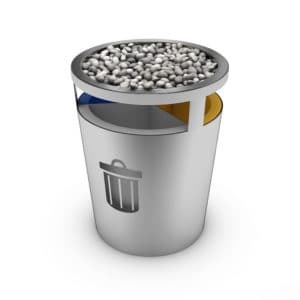 The Andromeda connected version is an excellent example. 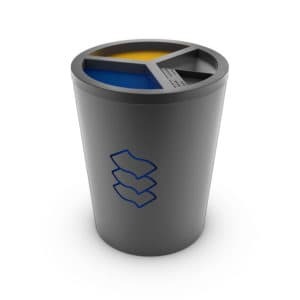 With its integrated smart level sensor, it allows you to geo-locate your container and know the level of waste in each compartment. 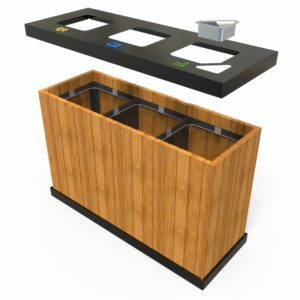 It also automatically alerts the cleaning service and provides real-time reports on waste and recyclables to minimize waste management costs. 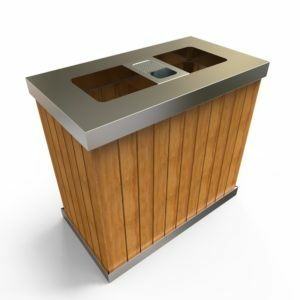 The outdoor recycling bins are made from steel, stainless steel, wood, and so on. 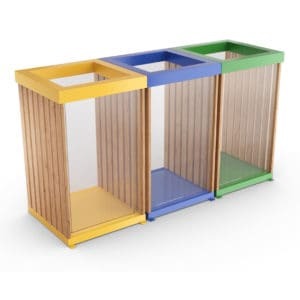 Multi-colored designs, in a single tone, natural, modern, original, and so forth. 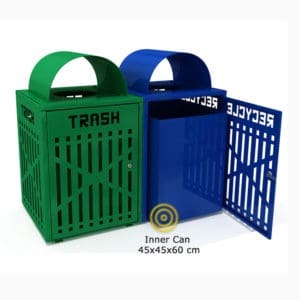 Small or large capacity. 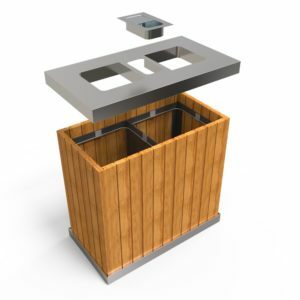 Urbaniere customizes your outdoor containers on demand and adapts to your needs but also your decoration, your tastes, your uses, and your budget. 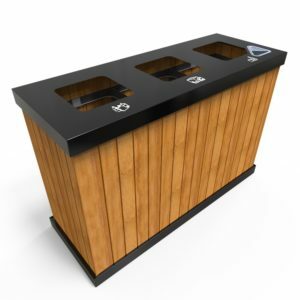 Feel free to contact us for professional advice or to find out more about our recycling containers for outdoor use.